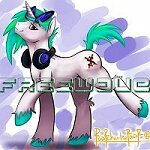 mylittleremix.com • View topic - Mixing Engineer looking for work. Board index ‹ Music Production Discussion ‹ Resources, Software, and Mixing Advice ‹ Mixing Engineer looking for work. Hello, all! My name is Willie, but you may know me from KPNY as the voice of Hard Cover, or as dastrdlyW, author of Sparkle No More. I am a recording and mixing engineer who works in my parents recording studio and use Cubase Pro 8, and would like to offer my services as a mixing engineer. What you give me is what I mix. I won't add sounds or anything, but if required, I can offer constructive criticism about certain aspects of songs. I won't throw in bass drops where there's not already one, but give me something, and I'll use the plugins I have to get it sounding best I can. I specialize in rock, but am open for anything, except for stuff like death metal/screamo music. And again, I'll do what I can for electronic music, but my specialty is rock. Anyway if anyone wishes to work with me, please message here or on twitter, HardCoverKPNY, and I'll give you my skype or email and we can work something out. Re: Mixing Engineer looking for work. Well I'm still knee deep in the Maressey Project which luckily is rock based. As I've been doing the majority of the mixing and a fair amount of the mastering (my least favorite part) I think I could use some help if you are interested. Whether that's mixing advice on tracks (I use FL10) or mastering unmastered versions you could let me know what sounds do-able. Using skype (I'm one of the freewave's on there too) is likely the best method for chatting and i should be around sunday-tuesday this week. Alright, I added you on Skype.